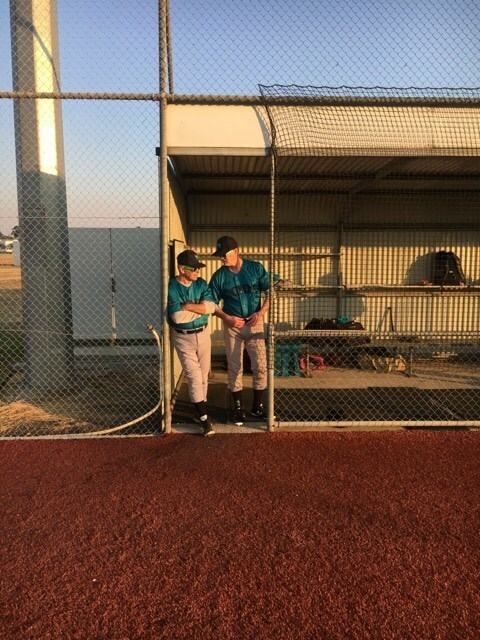 Tetsu Kamiyama was clutch at the plate with runners on base on Sunday, driving in five runs on three hits to lead Wangaratta rangers Black past NASC Bears Gold 15-1 on Sunday up at Springdale heights in Lavington New South Wales. Kamiyama drove in runs on a double to centre field in the third inning. Rangers Black assured victory thanks to eight runs in the seventh inning. Rangers Black’s big inning was driven by singles by Kelsey Burder and Aaron Parker who was stellar in the field in the early going keeping the Bears hitters at bay with some exceptional glove work. Another run was added from a groundout by Cam Scott and an error on a ball put in play by Sarah Warfe. Warfe was consistent all day at the plate making sure the Bears Gold fielders were on their toes by putting the ball in play multiple times. Owen Godenzi got the start for Wangaratta Rangers Black. He went seven innings, allowing one run on four hits, striking out five and walking one. Darryl Tuffey was on the pitcher’s mound for NASC Bears Gold. He surrendered seven runs on six hits over six innings, striking out five. Kylie Scott and Chris Hutchinson entered the game as relief, throwing two-thirds of an inning and one-third of an inning respectively. Overall Rangers Black collected 11 hits on the day. Kamiyama Godenzi and Shaun O’Neil each managed multiple hits for Rangers Black.The men and women of the Rangers Black squad didn’t commit a single error in the field. Burder had the most chances in the field with six Rangers Black tore up the base paths, as two players stole at least two bases with O’Neil leading the way with three stolen bases. Next week Rangers Black take on Wodonga Warriors White at home on Saturday. 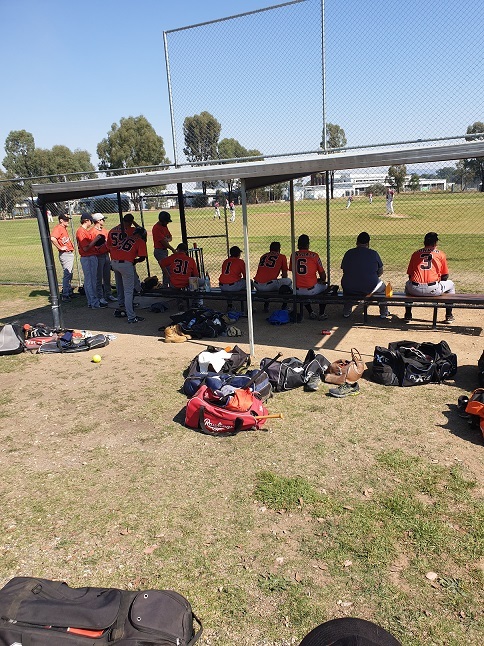 Wangaratta Rangers Orange watched the game slip away early and couldn’t recover in a 25-0 loss to NASC Bears Green on Sunday at Springdale Heights. Bears Green scored on a singles by Greg Daniels and Johnathon Sassella in the first innings and then on a double by Brendon Simmons in the second inning, and a further safe hit by Daniels in the second inning. Rangers Orange struggled to put runs on the board and had a tough time defensively containing NASC Bears Green, giving up 25 runs. One bright spot for Rangers Orange was a single by Jamie Samuels in the third inning. Tom Simmons led things off on the hill for NASC Bears Green. He surrendered zero runs on two hits over seven innings, striking out seven. Brad Murdoch started the game for Wangaratta Rangers Orange He went three and a third innings, allowing 19 runs on 17 hits. Jason Jonker came in and threw two and two-thirds innings to finish the game off. Samuels and Kyle Gilmore each managed one hit to lead the hitting for Rangers Orange. NASC Bears Green totalled 25 hits in the game. Mark Taylor, Sasella, Daniels, Brandon Purtell, Lachlan Summers, Simmons, and Doug Maddison all managed multiple hits for NASC Bears Green. Rangers Orange pay Wodonga Warriors White next Saturday at home in Wangaratta.